Earthquake Prediction: Moderate 4.1 magnitude earthquake shakes central New Zealand <---As predicted! Moderate 4.1 magnitude earthquake shakes central New Zealand <---As predicted! 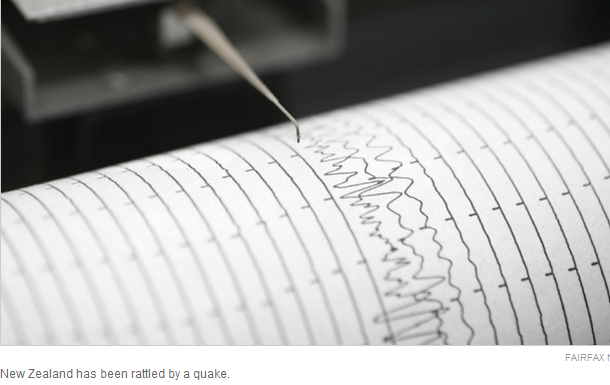 A moderate 4.1 magnitude earthquake has shaken the Wellington and Marlborough regions today. We predicted the event and expected it at New Zealand (43.5S, 172E). The quake, centred in Cook Strait, 40km south-west of Wellington at 11.22pm at a depth of 26km, was felt strongest in Wellington, and moderately in the Hutt Valley, Porirua and Paraparaumu in the North Island and Blenheim and the Marlborough Sounds in the South Island. Initially reported as 3.9 magnitude at a depth of 20km, it was later upgraded to a 4.1 magnitude, according to GeoNet. The area off the coasts of Seddon, in Marlborough, and Wellington had seen a number of small shakes on Friday, including a 3.6 magnitude jolt at 1.09pm at a depth of 20km, while a 3.5 magnitude quake hit 25km north-west of Kaikoura at 10.31pm on Thursday at a depth of 12km. More than 1800 people reported feeling the quake, which was rated as "moderate" by GeoNet.